Do you have enough to write your book! How do you know when you have a book? Of course it will be different for every person. Here is my story, how I decided to go for it, and six tips to help you decide to write your story. These tips are for folks working with fiction and memoirs mostly. 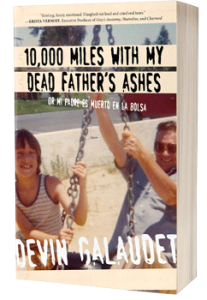 Like me on Facebook, Sound Cloud, Twitter, Youtube or get special deals for my book 10,000 Miles with my Dead Father’s Ashes or join to receive my free giveaways. I am here most every day Writing Daily.